Example: 5 people @ £350.00 per WS = £1750.00 per month. Note 1: As a general guide we use 60-80 SqFt per person. However, you may need more or less than this depending on how your company works and the budget you have. Please talk to us about your requirements to get a more accurate price #. Note 2: A private 1 person office will normally be more expensive than a quoted 1 person workstation price. As a guide, add on 50%-75% of the price i.e. if a company is quoting £500.00 per workstation, a private 1 person office will be approx £750.00-£875.00 per month. An office Workstation setup will be a desk, chair, pedestal and filing cabinet space in about 60-80 SqFt of office space. They'll be enough power points for PCs/ Laptops, Printers, Internet and telephone access. The workstation setup can also include telephone, internet access (Broadband), light and stationery but these items will vary from operator to operator across the UK. Yes! Subject to the intended start/move in date, All of the providers will have offices for immediate occupancy, It is even possible to sign and move in on the very same day. Not a single pence! Whether you are looking for serviced offices, managed offices, shared office solution, industrial units or workshop space, our complete impartial and independent service is FREE. Just incase you wondered how we make a fee, Landlords and Operators pay us for successfully referring new tenants. 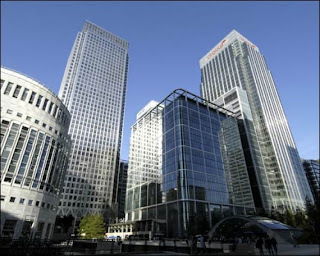 The fee we are paid will never be passed on to you, so why not start your search for office now! A Serviced Office provides an instant workspace solution where by an individual or company can take a fully equipped, turnkey office with the added benefit of experienced support staff. The standard and flexible license agreement allows immediate access to the space upon the receipt of cleared funds.